Thanks so much for the fabulous job you did on our property in Southern Shores. The outcome far exceeded our expectations. You have a great, hard working crew who performed a magical cleanup. 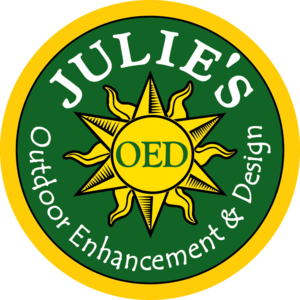 Dear Julie, my husband and I would like you to know how pleased we are with the spring cleanup your gardeners did on our property on the Outer Banks-we have always maintained it ourselves but thought we would enjoy having the initial cleanup done for us-as first time clients-we are thrilled with the results-the gentlemen who worked at our home were knowledgeable, professional and took obvious pride in their work-we would recommend them-and you -to anyone without hesitation-in fact we already have another project in mind and look forward to working with all of you in the near future-regards. Much thanks for getting everything done so quickly. In less than one weeks time, I met with Julie and her team members, constructed an immediate and ongoing plan for our property and had the first phase completed.. Her foreman, Row over saw a very hard working and consciences group of workers, who, in one day, transformed my front yard into a very attractive space which combined with the work in the back yard and green space has resulted in a "park like" setting. The work crew was prompt, polite and professional. I am confident of a long and enjoyable relationship. Thank You Julie and Your Team. We would take this opportunity to thank you for a great job on installing sod on our yard. We thought you supplied us with a very professional and thorough estimate/bid and you completed the job as promised and in a very timely manner. We also appreciate your suggestions on improvements that we could do ourselves in order to improve our landscaping. Your crew was outstanding. They did a superb job of preparing the yard and installing the sod. They also did a great job of clean up and removing all the yard debris. Please feel free to use us as a reference in the future. We would be glad recommend your company to any potential clients. Once again, we could not be more pleased with everything. I want to thank you for all your hard work and due diligence in helping us get this work completed. Your patience has been outstanding and I really appreciate your pleasant demeanor coupled with a 'can do attitude'. Helen Keller said it best, 'The one thing worse in life than being born blind was being born with sight and no vision'. You and your staff have exemplified business practices that should be modeled around. I have had the opportunity to work with several contractors during my stay on the island and your dogged determination is what stands apart. I have based my entire career on doing solid work and always taking care of any problems that may arise. Relationships are the difference when the economy slides. Those without this type of relationship fail. You have helped to make our little beach house a conversation piece. Take care and use any pictures of your work that you would like for future clients. Please thank your crew for such a job well done. I don't know what I would do without you. Thanks for the information and for the outstanding job that you have done on our properties. I would very much love to have the information for the fence as we still intend to move with that project. As far as the other two properties we unfortunately cannot get those done at this time as we have spent out budget for the year. I would very much love to use your company again in the future if we are able obtain the funding that we got this year. Again please let me express my appreciation and that of my tenants for an exceptional job well done. As you know, from 2005 through November 2012, a large commercial firm was treating my lawn in Corolla. In November 2012, they cancelled all contracts North of Duck because it wasn't cost effective for them to serve the Northern part of OBX. Your company has been treating my lawn since March of 2013 and I have to tell you how spectacular it looks. My lawn has never looked this good. I was at my house last week with my family, and I spent a lot of time outside taking care of minor items. Vacationers who walked by on their way to or from the beach asked me if was the owner. When I said yes, they complimented me on my landscaping and my yard. Two women actually said "That was a great idea to put fake grass in your yard. It looks like a thick green carpet." No one ever said that to me before. Thanks again. I look forward to working with you next year and in years to come. We want to tell you how pleased we are with our recently completed landscape project. The project turned out exactly how we expected it to. "Row" and his team are to be commended. Row is a determined man who is always striving to do quality work. During the project the team came across obstacles. What impressed us the most, is that Row always did the right thing. Sometimes the right thing isn't the easiest thing to do, but that didn't stop Row from getting the job done and getting it done right. Please pass along our thanks to Row and his team. It was a pleasure working with you and your entire staff. We would not hesitate to recommend your business.